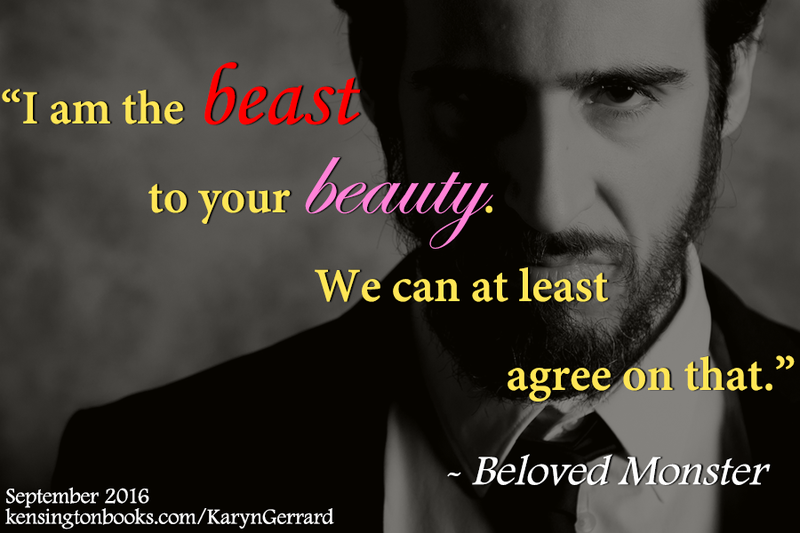 Beloved Monster is a unique historical, a mash-up of gothic, fantasy, sci-fi...you name it. But most of all...it is a romance. The wild and dissolute Viscount Ravenswood lives only for his own pleasure, caring not one wit for the broken hearts left trampled in his wake. But his decadent lifestyle finally catches up to him in a fatal carriage race. It’s an infamous and spectacular end to a brief, immoral life—or is it? And who is the woman who loves him? When Glenna Parker stumbles upon her cousin Reed Parker’s cluttered laboratory, she could never have imagined the mad experiment he is about to embark upon—to bring a man back from the dead. 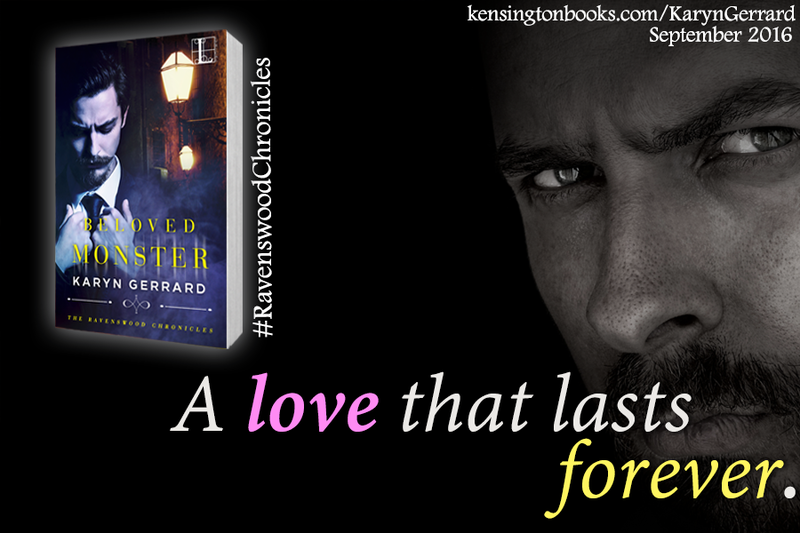 Not just any man, but Ravenswood, who once shattered her heart. With no memory of his former life, Glenna calls him Luke, and finds herself enchanted by his compassion—and passion. Protecting the scarred Luke has become Glenna’s sole mission, but can she protect her heart from her beloved monster? I’ve always loved stories with a mash-up of different genres, a little gothic, a little horror, and of course, romance. When I was young, no story fascinated me more than “Frankenstein.” From the time I heard the radio play on CBC radio (Canadian Broadcasting Corp) and watched the 1931 movie version on the late show, the idea of being brought back to life fuelled my imagination. And I always had a wild imagination. Though somewhat shy, I had no problem standing before the campfire at Girl Guide camp telling off-the-cuff horror stories. Another gothic tale I enjoyed was “The Picture of Dorian Gray.” Again, I saw the 1945 movie on the late show when in my teens and it stayed with me. Let’s face it; Dorian is reprehensible, living a hedonistic life of sin and vice. 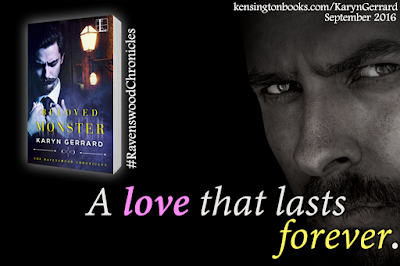 When beginning to plot Beloved Monster, (The Ravenswood Chronicles #1) I thought wouldn’t it be cool to have Lucas Madden, Viscount Ravenswood, the living embodiment of Dorian Gray? 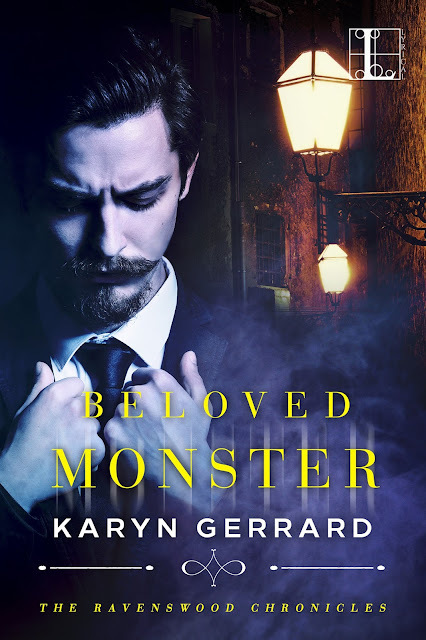 That is the crux of the plot: who is the true monster, the beautiful, dissolute, immoral Viscount Ravenswood, or the reanimated Luke Madden, who thanks to his scars and shade of his skin, looks like a monster? 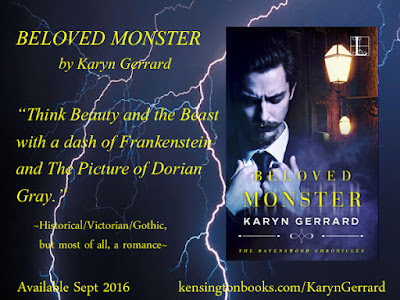 The heroine of Beloved Monster, Glenna Parker, knew Viscount Ravenswood. But this new incarnation is nothing like the cold, unfeeling rake that broke her heart and dashed all her romantic dreams. Luke is kind, compassionate, and it turns outs—passionate. Which brings in the final trope,—and a favorite of mine—“Beauty and the Beast.” Beauty and the Beast is more of a fairy tale than gothic, though as far as I am concerned, if a castle is involved, it’s gothic! I vividly remember the Hallmark Hall of Fame version shown on television in 1976 with George C. Scott as the beast. (He was nominated for an Emmy) And I absolutely adored the 1991 animated Disney version. I saw most of these movie/TV adaptations within a few years of each other, and to a young teen, they made a strong impact, enough to stay with me decades later. When it came time to write my story, I didn’t want my hero to be a stitched together cadaver; after all, this is a romance, not a horror story. Nor did I want him to have a portrait hidden in the attic that reflected his sins. Or literally turn into a handsome prince when he finds true love. But Beloved Monster has a little of all these tales, but most of all, it’s a romance. Beloved Monster is a Victorian, historical with gothic, science fiction, paranormal, and fantasy undertones. Like I said: a mash-up. Protecting the scarred Luke becomes Glenna’s sole mission, but can she protect her heart from her beloved monster? Find out! Grab a copy now! If a man can live forever . . .
A lifetime ago, the debauched Viscount Ravenswood lost his life, only to be revived as as new man with a new name…and a new desire for love. Now, scarred and monstrous of visage, Luke Madden has outlived his beloved wife. Crushed by loss and despair, he swears to never feel such a love again. For such a perfect mingling of souls could never happen twice in one lifetime. 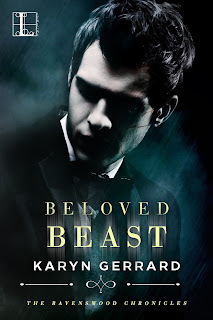 Especially for a beast such as Luke believes himself to be . . .
. . . how can he love forever? Gillian Browning is a bold woman of action. But her spy activities in pre-war Germany have made her a target. Now in London, she is being hunted by ruthless Nazi operatives. Luckily, a fellow spy knows someone who can protect her—Luke. Taking Gillian to his former home in the country, he reluctantly finds himself caring for her more than he thought possible, and to his surprise she reciprocates. But when a threat from Luke’s own past increases their peril, he must decide if he has the true strength to love—and trust—again .